Peeps have always held a special place in my heart. In fact, there was a time in my life (pre kds!) when I used to mail flattened peeps to my friends – it’s not pretty, but it can be done. I look so forward to seeing them in the stores, and looking at photos of Easter peep cupcakes on pinterest. But… I don’t ever eat them. Ever. But just because I don’t enjoy eating them, doesn’t mean you don’t, right? I mean, my kids each had a half a peep the other evening, and jumped up and down for joy for about an hour before they fell to the floor in a crumpled mess. I thought I would share with you what I am bringing for ALL my nieces and nephews this Easter Sunday.. Vanilla cupcakes with cream cheese vanilla bean frosting, adorned with chocolate “grass” and topped in a Marshmallow Peep. mmmm…..
And you can do it too… box of vanilla cake mix, batch of cream cheese vanilla bean frosting, green candy melts and package of peeps. After baking the cupcakes and making your frosting, melt down a package of green candy melts according to the instructions. Pour your melted candy melts into a disposable pastry bag (with the very tip cut off) or squeeze bottle. 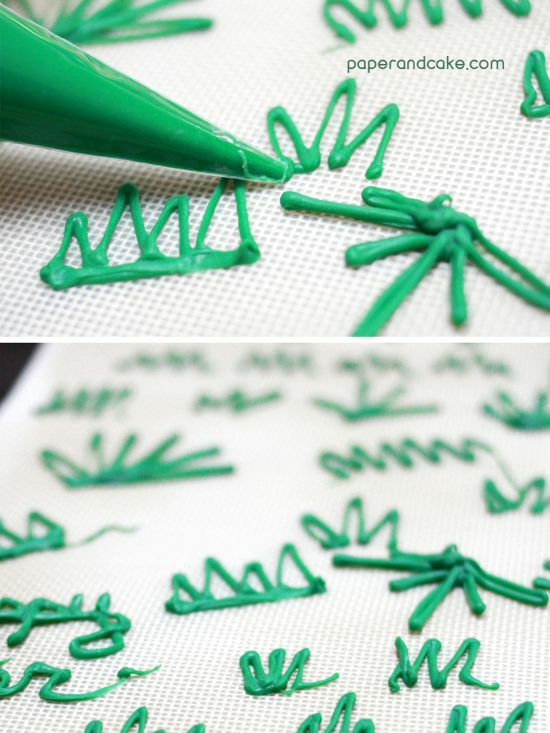 Using a silicone baking mat, practice squeezing out little bits of green into “grass” shapes – any zig zag or squiggle design will work. 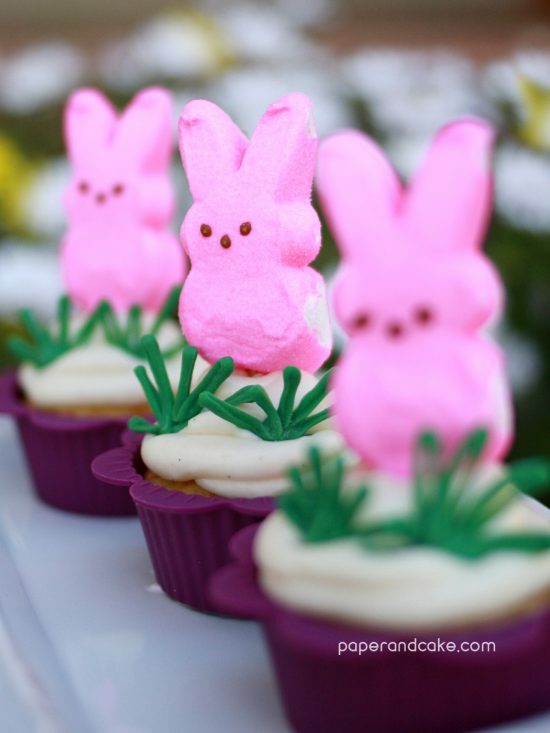 While your “grass” cools and hardens, frost your cupcakes and top with a peep (you can use a toothpick to hold in place if necessary). Add a couple of pieces of grass to finish off. I am trying to order some bootprints and fingerprints for my little girls nancy drew party. Can you email me and let me know where to do this. I do not need the whole party package.